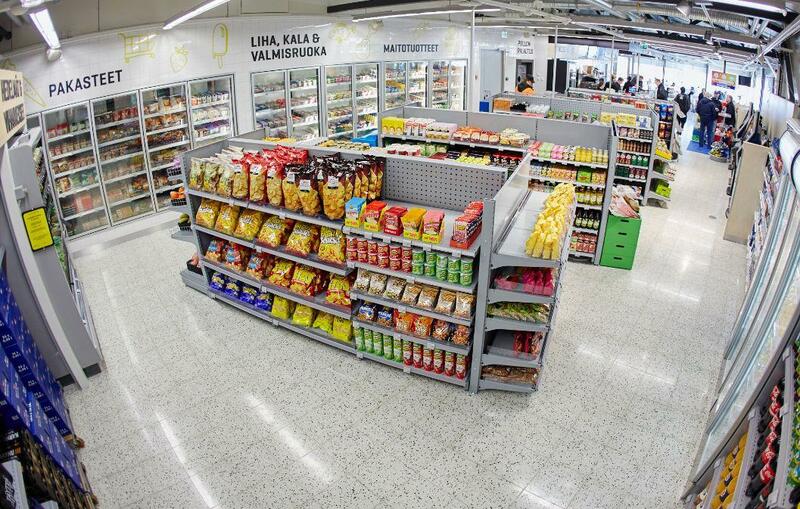 In March 2016 in Tampere, Finland opened the first new concept Neste-K service station, in which store the refrigeration solution Hydroloop by Freor was installed in joint project with its partners CoolFors Finland Oy. there is a recharging point for electric cars, car wash services based on the latest technology, a restaurant menu designed by a top chef, and a store where customers will find desired products at any time of the day. 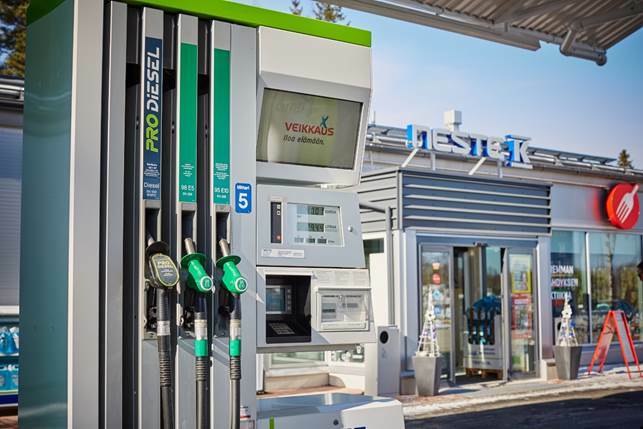 Over the coming year about 70 Neste and Kesko gas stations are due to be renovated under the new concept. Thus, the overall number of K-Neste gas stations by the end of the 2017 will be close to a hundred. We are pleased that Freor is contributed to this project. Freor partners Coolfors installed six cold rooms and Freor multideck Jupiter operating on ecorefrigerant R290 propane. Refrigeration applications are connected to the Freor energy efficient refrigeration system Hydroloop. In this system the excess heat is removed through a closed water circuit system into a dry cooler outside the building. Heat is removed via “green” glycol line in a closed system: heat exchanger – condenser – water pump – dry cooler. The Freor multideck Jupiter R290 has an independent refrigeration system with a built-in compressor and air condenser on top of the multideck and the ability to connect to the glycol line for water cooling. It is a Hydroloop Hybrid solution which allows combining two separate heat removal systems with the ability to switch modes that allows easy using the excess heat for store needs. Heat is optionally directly emitted into the main store area through the air condenser installed on the multideck (during the cold season), or removed outside from the store through the glycol line (during the hot season). This allows heating the store premises on demand. For Neste – K project, Freor installed a special hydro aggregate and selected the dry cooler. Hydroloop is the energy-efficient, yet a simple system, which is extremely simple to install. Hydroloop solution can be connected to Freor refrigeration multidecks, showcases, freezers, as well as to cold rooms. This is the fully integrated refrigeration technology, which eliminates the need for complicated refrigeration systems and greatly simplifies system installation. This innovative system ensures high efficiency compared to standard applications with compressor racks and remote cabinets, the faster store installation for a customer, saves space, gives the wide possibility of the unit layout modification, uses smaller amount of refrigerant and is easier to maintain. Decentralized operation of refrigeration furniture protects against losses that may be caused by the remote refrigeration system disorder. All those means reduced costs and saves customers money. The excess heat can also be used for store heating during the cold season, and for water heating. Freor seeks to manufacture its products with nature in mind and to limit the negative impact on the environment. That is why we created Green Wave R290 product line. The new refrigeration equipment line using propane as refrigerant reduces greenhouse gas emission and helps customers to take care of the environment, at the same time saving energy. Energy efficiency and the environment-friendly technologies is our company’s main goal.